Tubelite® Inc. has launched a new 400 4-Side SSG Cassette Series glazing system for building envelopes in low-rise and mid-rise commercial curtainwall applications, such as retail centers, offices, health care facilities, and schools. The aluminum-framed, factory-fabricated, and factory-glazed system is field installed into the curtainwall grid with 2.5” interior sightlines and the strength of variable-depth back members in sizes from 5-5/8” to 10”. This new cassette system allows for Tubelite’s proprietary glass-to-edge glazing, accommodating 1/4”-thick glass to triple-glazed units, without the need for captured perimeter members. It also features pivot-and-slide head and jamb anchors, and roll-over dead load sill anchors for fast and accurate installation. 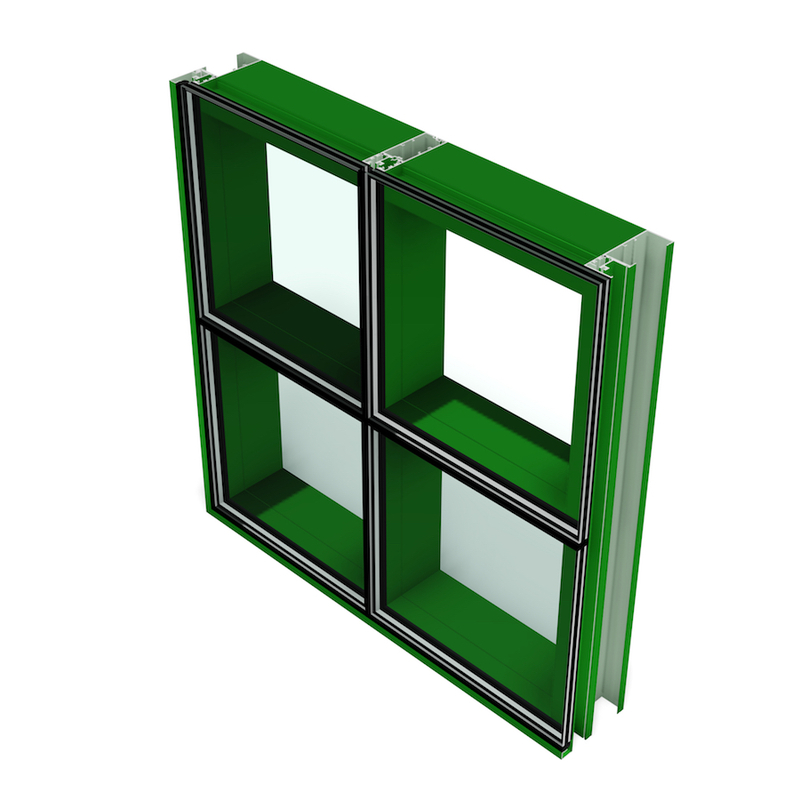 This new system uses reliable screw spline construction and is designed for use with Tubelite’s time-tested 400 Series Curtainwall framing. In addition to its 400CW, 400T, 400SS, and 400TU curtainwall, Tubelite’s Cassette Series is compatible with its MaxBlock® sun shades and its door frames. It also can be modified to attach to other systems for retrofit applications. Tubelite’s 400 4-Side SSG Cassette Series has passed testing for air and water infiltration, structural integrity, condensation resistance, and thermal performance. The aluminum used to produce all of Tubelite’s framing systems, sun shades, and light shelves can be extruded using EcoLuminum™, a high recycled-content aluminum billet composition. Anodized and painted finishes in a broad range of colors can be specified for Tubelite’s Cassette Series’ aluminum framing, snap-on perimeter closures, and optional horizontal and vertical accent covers. Durable finishes reduce buildings’ maintenance costs and enhance long life cycles.